I have known Preeya for twelve years, she’s my first friend that I made from an acting job, well the first one that I still have anyway! Then, as well as now, she had great style and individual ideas. I really wanted her beauty tips, I’ve been asking her for ages. They are here now, and I really like them. She’s incredibly elegant, and every time I see her she gets more gorgeous. Her huge mane of hair is all her own – which is quite incredible. The photo of us above – was taken on a gorgeous day in LA last January. We met on Montana Avenue in Santa Monica, and as I was posting this picture today, I noticed the Dermalogica salon caught in the background – very telling as to where I had just been! For anyone in LA or visiting LA, it is the most fabulous place to have a skin treatment. This body illuminator is limited edition. Makes the skin glow, and it doesn’t mess up your clothes. Contains gorgeous smelling hydrating oils. Preeya says it acts as a highlighter, and has a feel of conditioning on the skin. 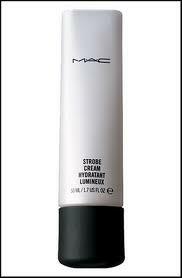 I think it is a great product to mix in with a base, and to also use across the chest, arms and legs. It really brightens and lifts dull skin. I was given this originally and love it it moisturises intensely and the scent is gorgeous. This is a vibrant colour for the lips that means you don’t need to wear much on the eyes. The lipstick alone is one of my favourites, if I don’t want to wear much makeup, but I do want to brighten up my face with a strong colour. It refreshes and nurtures the hair without drying it out. 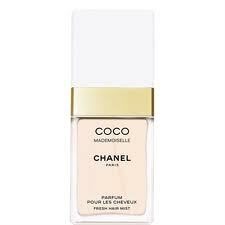 I went to the Chanel counter to look into this hair mist after Preeya suggested it – it comes in Coco Mademoiselle, Chance and No5. I think it is a great way to wear perfume – too many people spray fragrance day after day onto their chests, and it is very drying indeed, and not good in the sun. Thanks to Preeya for all these tips. The Cocoa Butter cream sounds great, but STP 23,- for shipping to Spain! Exactly… Look on UK’s eBay and if you do want to buy ask one if the sellers on there if they do a reasonable shipping rate. If not any Spanish Cocoa Butter will do!! What a talented and beautiful lady! I love reading things like this where the celeb’s use the same products as us all, I love that lipstick! Ps – that song will be in my head all day now! 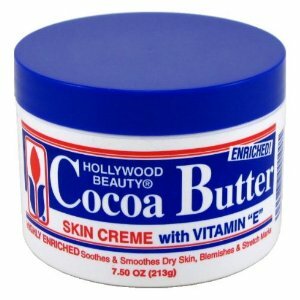 I’ve found that Cocoa Butter here, apparently shipping starts at £2 and the product itself is £2.69 (although you can get a 1oz pot for 99p if you wanna try it out first). Shipping to my house in the UK from there was £10. Preeya suggested Paks but I always do a trial run before I suggest a site. Maybe I have it wrong. I will check again. Hi Lucy, I just added the 298g tub into my basket, and shipping to my address in the UK is £10.00, which is their cheapest option, so the total to receive it is £12.42. It is a wholesale website so may be worth it for big orders but not for one item. Thanks for looking into other options. I always try to cover everything, but obviously miss things sometimes.